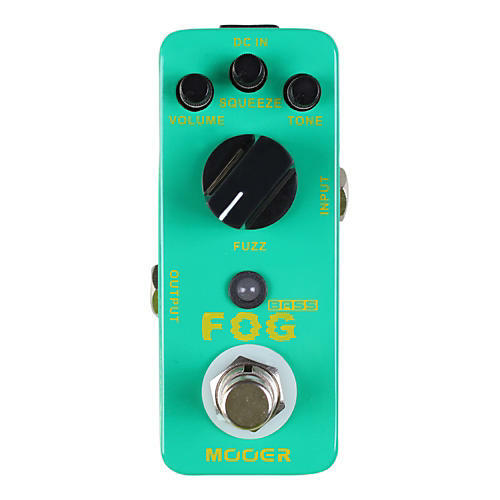 The Mooer Fog Bass Fuzz sounds great for both bass or guitar and delivers some of the most fuzzed-out bass tone on the market today. It's simple design allows the player to find the right tone quickly and easily. Controls for Volume, Tone, Fuzz(gain) and Squeeze make the Fog a knob-tweaker's dream. The Squeeze knob adjusts the pulse waveform shape from wide to narrow which really takes the tone from one of the spectrum to the other. It's full metal casing makes it durable and road ready, and like most great effects pedals it has true bypass.